After the fiasco of the last few weeks, it has been confirmed that HRH Prince Charles will represent the Queen and country on the 6th of June. The Royal British Legion, Britain's chief veterans' organization, said it was "absolutely delighted" the prince would be attending. But not everyone was happy with the resolution. Some veterans' representatives point out that, with most D-Day survivors in their 80s, this will be one of the last major anniversaries they are able to attend. "All the focus will be on the politicians, not the veterans. It's too late," said Eddie Slater, national chairman of Britain's Normandy Veterans Association. "We go across for a pilgrimage. It's been turned into a circus." 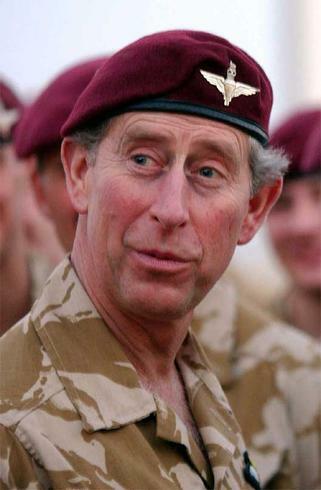 At this time we don't know if Prince Charles will visit Pegasus Bridge, as Colonel in Chief of the Parachute Regiment, it is very dear to his heart. It looks like he will have to attend the ceremonies at Omaha Beach.